With his most recent set at Shambhala Music Festival being praised as one of the top sets of the weekend, there is no denial that Mr. Carmack initiates an original vibe on stage. Following a month after his last release of track “This Is America,” Mr. Carmack decided to release a new beat for his listeners to vibe with based on his personal experience. It is easy to say igniting the fire is never a challenge for Mr. Carmack as he focuses on instilling a dark and mystical approach to “Warsaw, Canada”. Experimental sound is clearly in his favor, as you can expect to hear the incorporation of drums, deep bass, repetitive chord progression and futuristic voice supporting an original trap production. Flowing at a slow tempo, this original beat has proven to satisfy all those who need something to chill out to and vibe till the end of summer. With art and creativity being shown at its finest, Mr. Carmack can be expected to experiment with new forms of sound intertwined with his experiences. 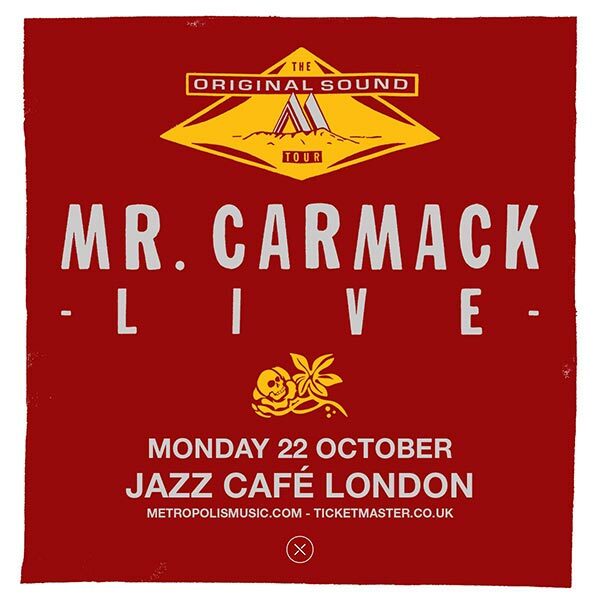 Do not sleep on Mr. Carmack during The Original Sound Tour starting in London UK on October 22.